Here's my perfect boy, his name is Ejderha! It's Turkish for "dragon", and I call him Edgy for short. 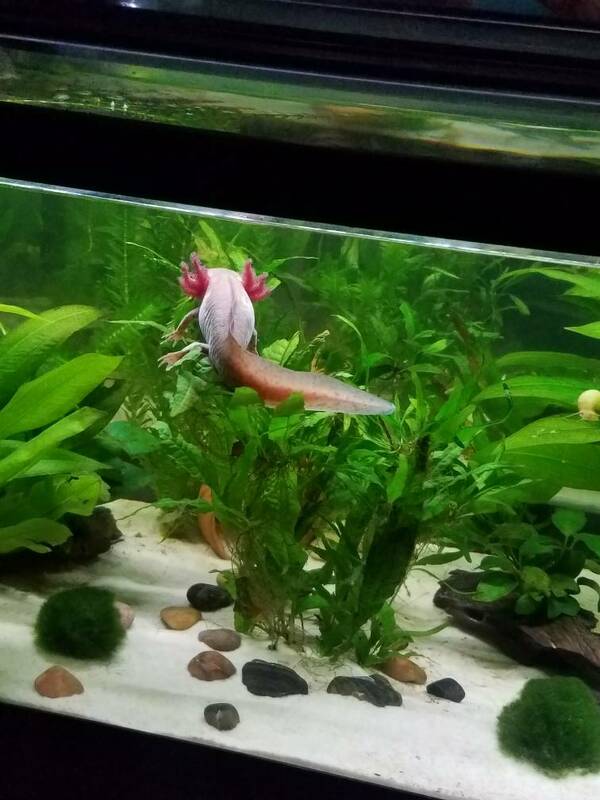 Based off of the people I've shown his picture so far, I've been told that he's a GFP/Wild type, but I would love more input! Here's mine showing off his silly faces! He never fails to make me smile. Bucky is the dark wildtype with a missing gill, Steve is the copper with a cute freckle/beauty spot. Also a funny photo of Steve showing a nice full belly. Tulip is lovely! The reading on that thermometer is not great though! 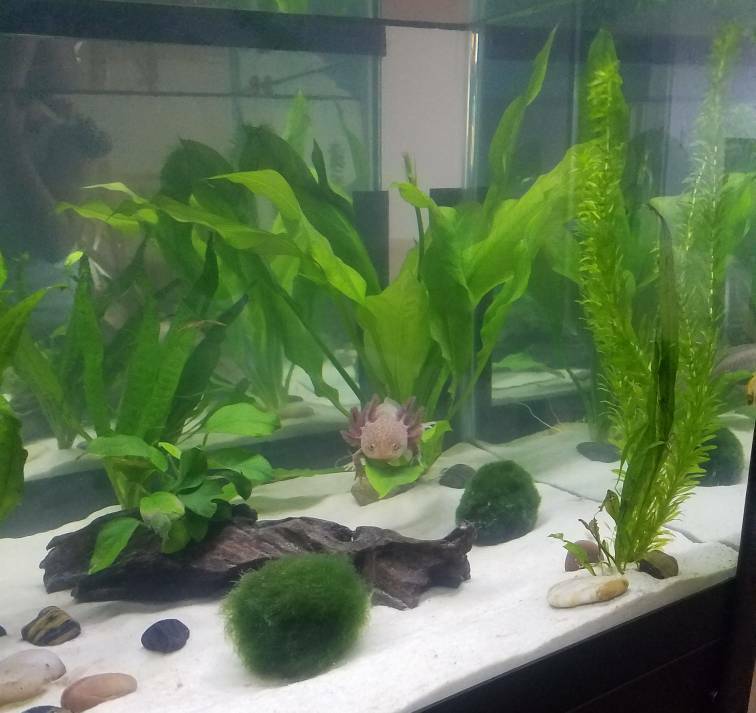 If your parents want the blinds open can you add a fan to the tank? 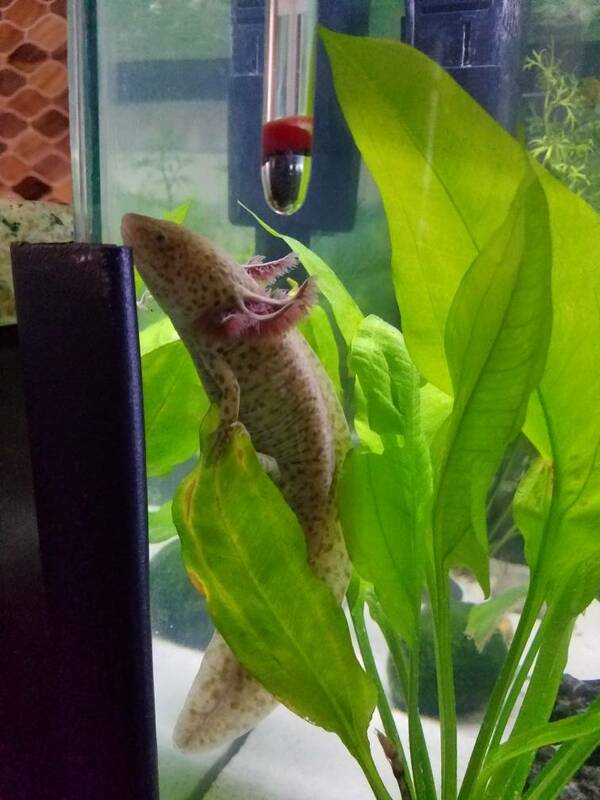 Maybe find some posts about heat stress in axolotls and show them, maybe then they will realise it needs to stay cool and away from the sun. 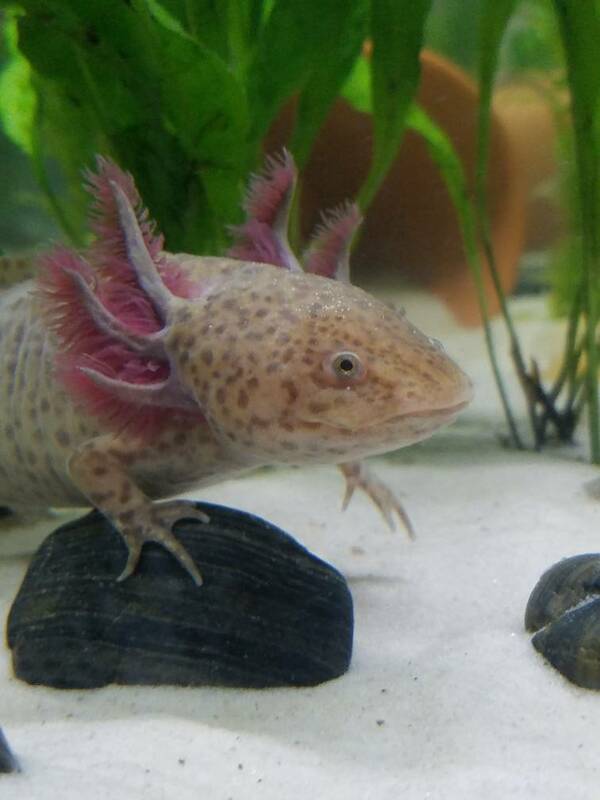 Tell him he needs to do more research and to join Axolotl-aholics Facebook group and ask the thousands of owners and breeders on there. 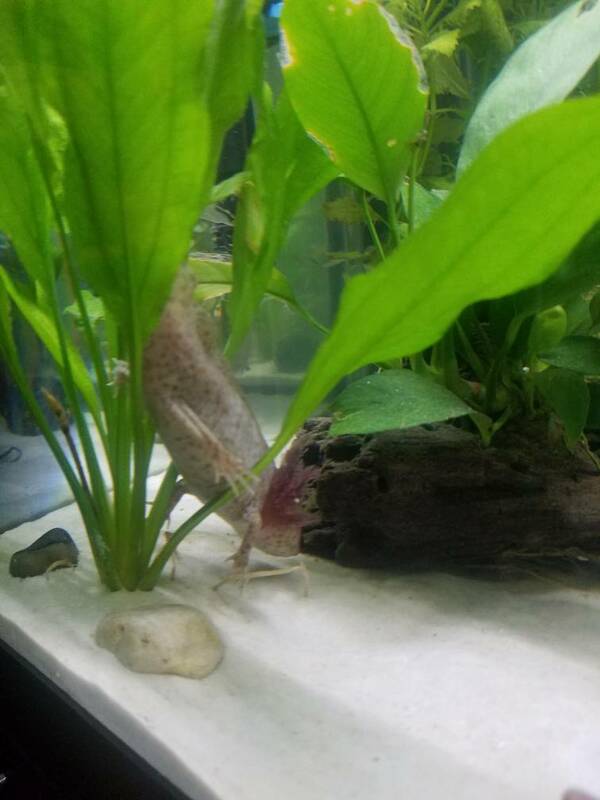 My sweetest baby and first axolotl ever, Peepo!! He's almost two inches now and has the biggest appetite I've ever seen. 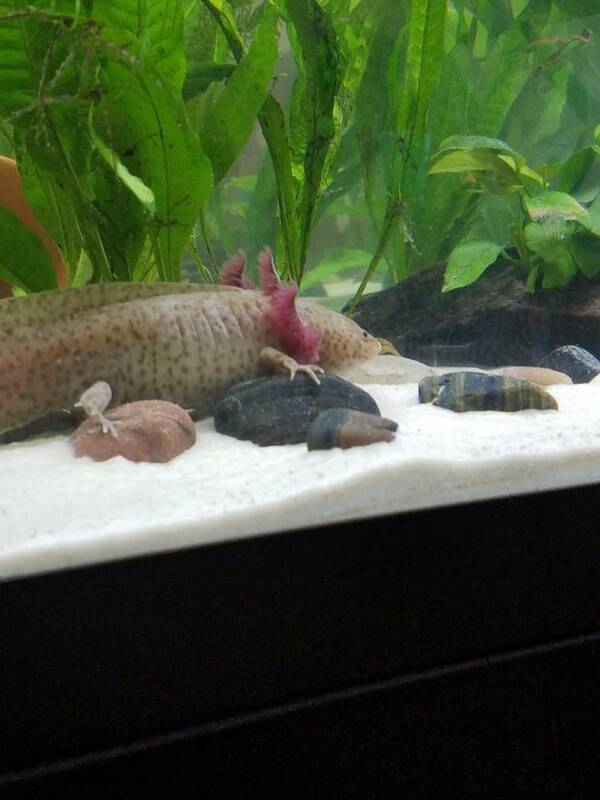 I don't know if he'll end up being a white albino or more on the golden side, but I'm excited to see! I love his iridophores so much!! Apologies for the poor image quality, but these needs to be shared. Virginia is not good at hiding. Point of clarification....it's a grainy picture, and with the light and the fact that she's chilling out her gill frills aren't apparent. 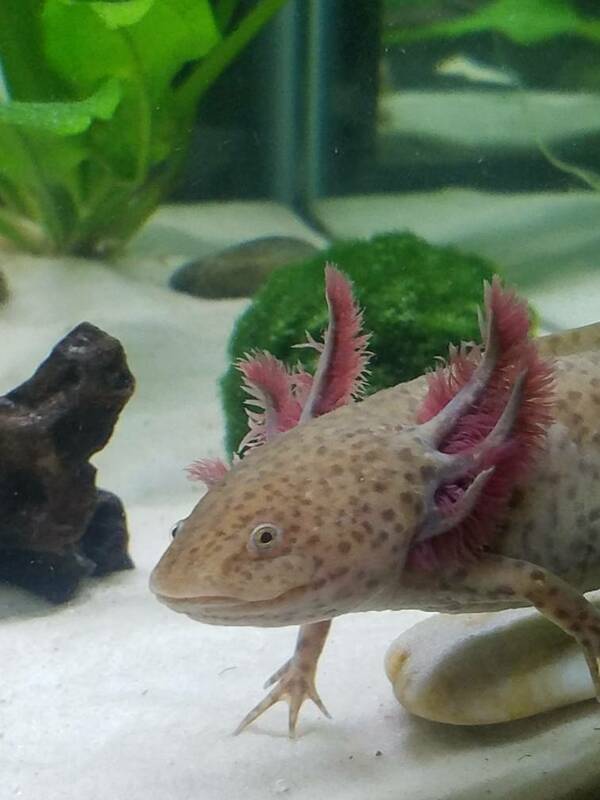 Don't worry, she has lovely fluffy gills, it's just angles and lighting. So adorable! My little one isn't the best at hiding either. But she is precious!